Although our tour guide was articulating his personal philosophy, he might as well have been telling us the slogan for all of Freetown Christiania. In this self-proclaimed free state in the middle of Copenhagen, Denmark, no one owns their homes, the people police themselves, and all decisions are made by consensus. It’s been this way for 45 years now, and the residents—all 850 of them—have no intention of changing. In 1971, a group of squatters took over this abandoned military base in Denmark’s capital. At the time, there was no sewage system, two water pumps, and plenty of space to set up a community independent of the government, if one were so inclined. 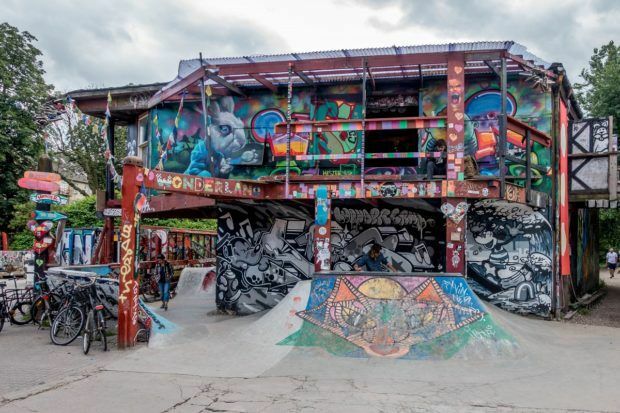 Inside the walled complex, the group of hippies and free thinkers implemented the concept of collective ownership, set up their own governing laws, and even developed their own flag and currency. 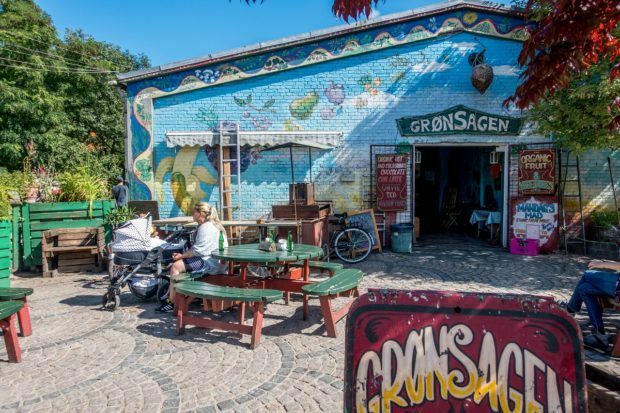 Even today, as you pass in and out of the community, it’s clear the residents of Freetown Christiania see their neighborhood as distinct from the rest of Copenhagen. 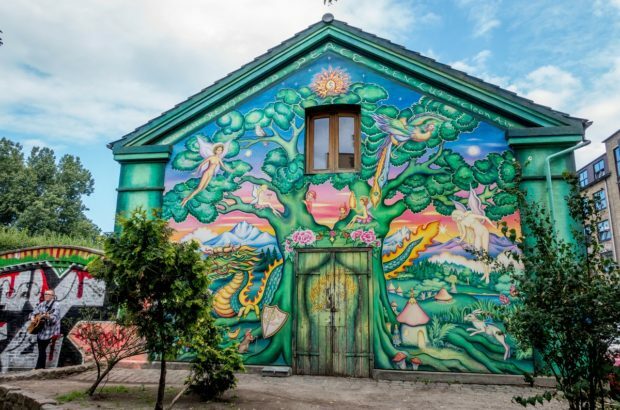 Christiania is now a bright mix of homes, cafes, art galleries, and workshops, many covered with colorful murals or accented by sculptures. There are even schools and a daycare for the 150 or so children who call the area home. 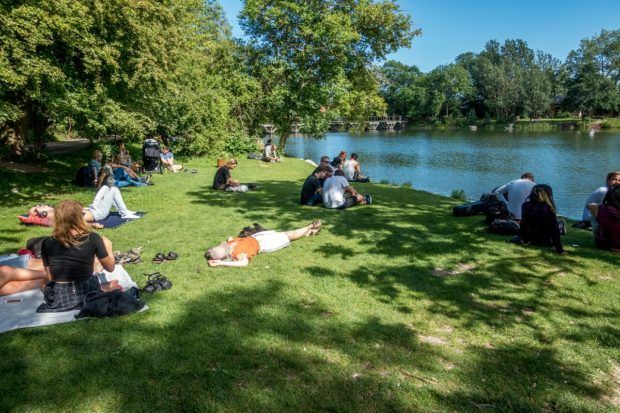 There’s also plenty of open space, from courtyards and gathering places to the community’s beautiful lake that seems to attract just about everyone on a sunny day. And, like the rest of Copenhagen, there are bicycles everywhere. Our guide explained that residents do everything they can to ensure that the space is used for “nature’s best use.” That best use could mean just about everything from comprehensive recycling to allowing certain trees to decay so they attract insects, which in turn feed birds. One of the most curious aspects of Christiania is Pusher Street. Signs in the notorious area warn that you that you are approaching the Green Light District, an open market for marijuana. The two main rules on Pusher Street—don’t take photos, and don’t run (or people will think there’s a raid and chaos will ensue). 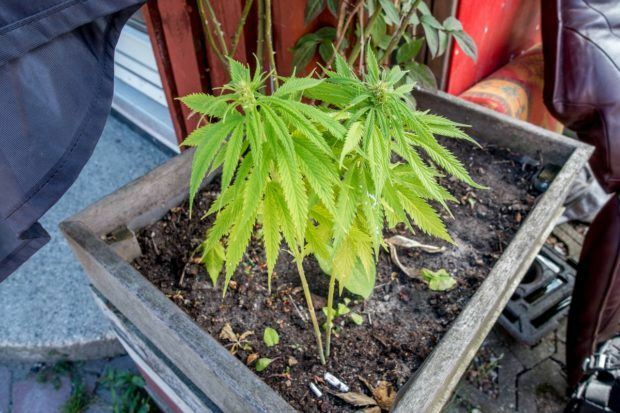 Marijuana is still illegal in Denmark, so these rules are taken pretty seriously. I took out my phone to make a couple of notes on what our guide was telling us, and I was promptly scolded for even the appearance that I might be taking a photo. 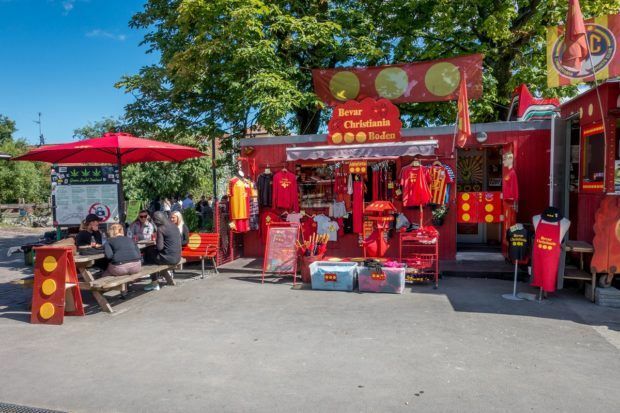 Several dozen booths on Christiania’s Pusher Street sell different types of hashish, related paraphernalia, and even brownies. There is a lot of paranoia about police raids, so many of the booths are covered with tarps so that all you can see are the products offered and the seller’s (possibly gloved) hands. Even underneath the tents, many sellers wear masks. Although the marijuana trade is illegal, our guide explained that the hash sellers play an important role in Freetown Christiania—it’s part of their job to help ensure that there are no hard drugs and no gangs in the community. They have to live in Christiania for three years before they’re allowed to sell so they earn the trust of the other residents. 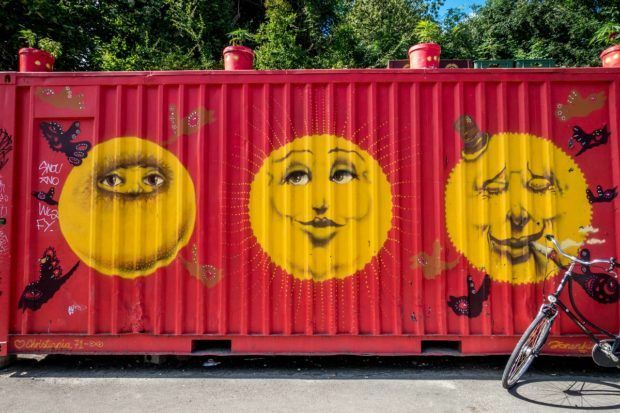 Is Christiania Heaven on Earth? 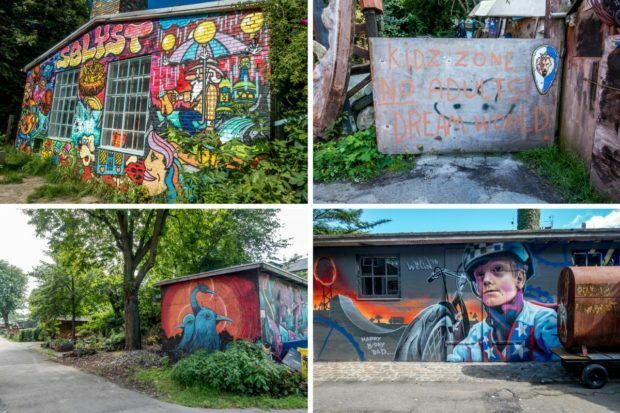 Freetown Christiania sounds ideal in a lot of ways. The residents choose who moves in (and kick people out, if they choose), most people agree on most things, they live according to their own rules, and they’re surrounded by natural beauty and art that they’ve made. As an outsider visiting for a few hours, it’s impossible to know if it’s all as utopian as it seems. After all, Freetown Christiania is the second most popular tourist attraction in Copenhagen, so there is value in telling visitors that the communal principles really do work and in keeping up the quirkiness that makes the hippie commune worth visiting. Over the years, the residents of Christiania have often been at odds with the government in Copenhagen. Periodic police actions shut down Pusher Street, though it’s often up and running again quickly. 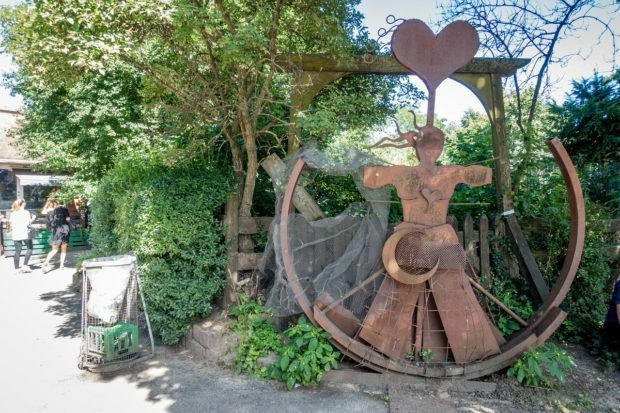 There has also been a process of what the government refers to as “normalization,” though the residents of Christiania question the meaning of such a loaded term. 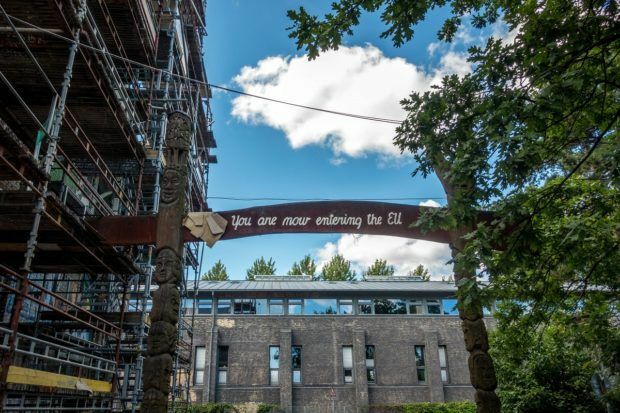 So far, the normalization has required them to become landowners by way of the Foundation Freetown Christiania, which was set up in 2012, though they still don’t own their homes. 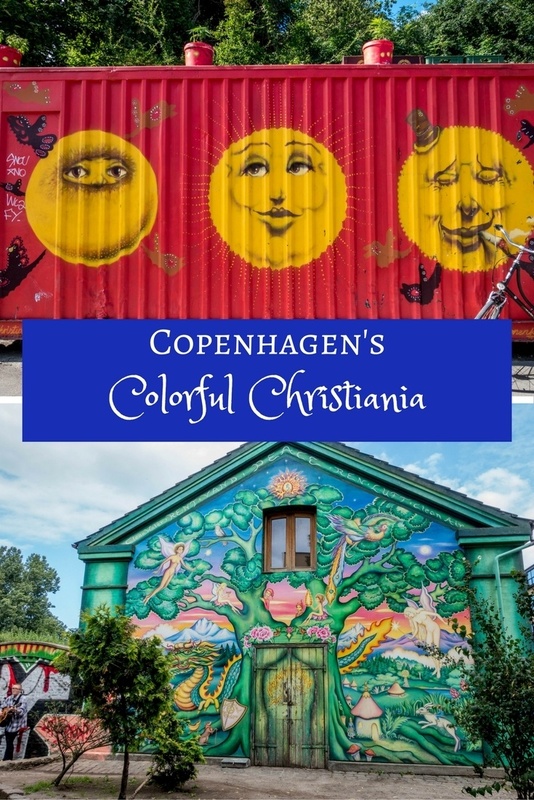 Christiania is in the Christianshavn area. It’s a lovely walk from the city center, or you can take bus 350S from Nørreport Street to Christianshavn Street. Visitors are welcome to enjoy Christiania. Eat and drink in the community’s cafes and restaurants. Lounge by the lake, head to a concert, or join in an impromptu basketball game. You can even do what we did and attend one of the local-led tours (in Danish or English) for 50 kroner (about $7 USD) per person. Just make sure to follow the rules. (Tours are at 3pm daily late June-August and on weekends the rest of the year). 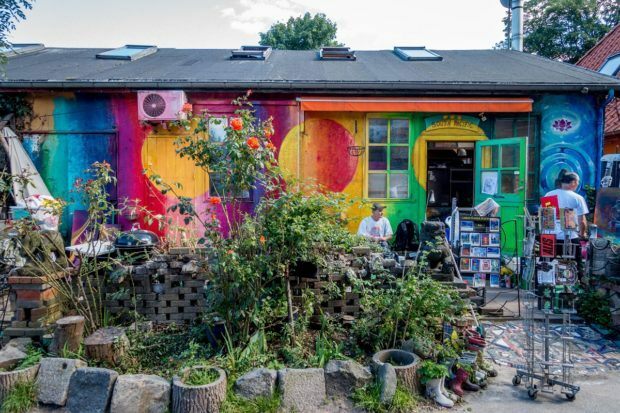 What do you think about Copenhagen’s Colorful Hippie Haven? Wow. This is quite an interesting concept, and the fact that it’s been around for 45 years is impressive. I want to go! Hi Laura! Freetown Christiania looks like a happy town for me 🙂 The fact that police can not stop the selling of drugs in this colorful town, considering that there are no crimes or gangs or anything that endangers the lives of the people living in the area or even tourists, then perhaps it’s good to just support the Hippie Haven and their businesses, right? I can’t wait to visit the place soon, looks and sounds interesting! I was just there and loved it. Peace.